Update 26.06.2018: Amazon’s marketing landscape is constantly changing. 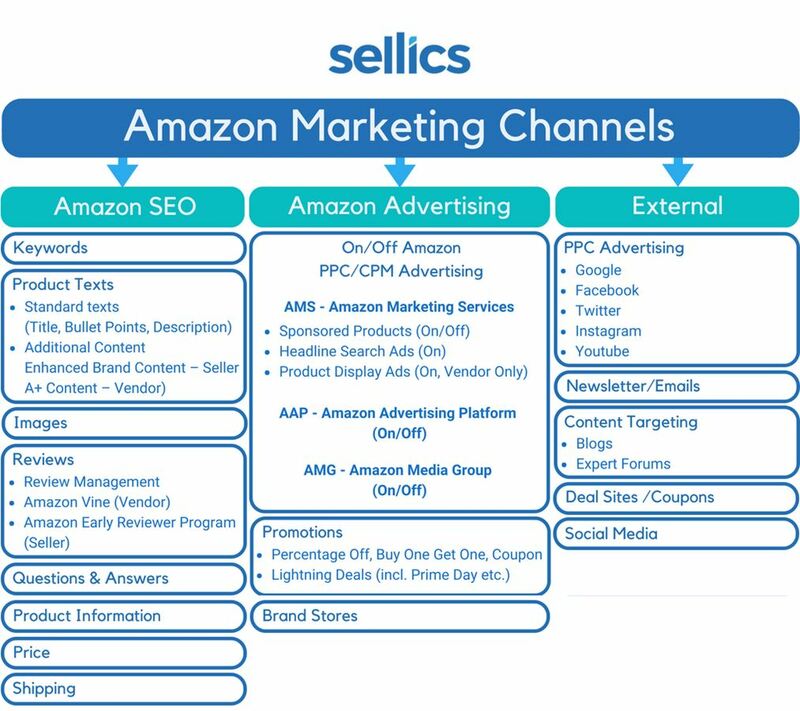 We updated our Amazon marketing strategy overview. First published March 30, 2016. Amazon is steadily expanding its lead in e-commerce. More and more manufacturers and sellers offer their products via Amazon to benefit from this vast sales potential. The rising competition forces Amazon salespeople to engage more intensively with Amazon and its opportunities as a marketing channel. We help sellers and vendors develop an Amazon marketing strategy. In this comprehensive overview, we describe the many different ways to conduct online marketing with Amazon and discuss the differences in marketing between sellers and vendors. Amazon SEO: Optimizing keywords and the performance of a product or a product page to improve the organic ranking in the Amazon search. Most Amazon SEO measures are free of charge (Non-Paid). Amazon SEO takes place on the Amazon platform (On-Amazon). Amazon Advertising: Various Amazon advertising formats and promotions to endorse brands or individual products. Advertisement on Amazon is usually subject to a fee (Paid). Depending on the format, advertising takes place directly on Amazon or other websites or platforms (On- and Off-Amazon, respectively). External Marketing Measures: Paid and Non-Paid marketing formats that are not offered directly by Amazon and are conducted through external channels (Off-Amazon). Search Engine Optimization (SEO) is one of the best-known methods of online marketing. SEO helps you to appear as high as possible in the search results for specific queries. Today, more product searches are started directly on Amazon than on Google. This makes Amazon the # 1 product search engine on the internet. Researching and selecting the best keywords for a product are at the core of Amazon SEO. Once all the relevant keywords have been researched and assigned to the product, a larger variety of search queries can display the product in the search results. The product becomes more visible. The right placement of the keywords in the product is just as important for the ranking. Through in-depth testing, we’ve found that the most important keywords for a product ranking are the ones in the title, followed by the generic keywords (or “search terms”). The latter are entered in the backend; they don’t appear on the product page. Both are followed by keywords in the product attributes (bullet points) and the description. Repetition of keywords brings no advantage and is therefore not necessary — in fact it merely wastes valuable space. For more details on keywords and SEO, check out The Complete Guide to Amazon SEO & Higher Rankings. Tip: Use Sonar to find the best keywords for your product listing – it’s a free Amazon keyword tool with actual search volume for keywords on Amazon. Take care when entering your “generic keywords” in the backend: Amazon will ignore them if they exceed 249 bytes (more about the byte limit). 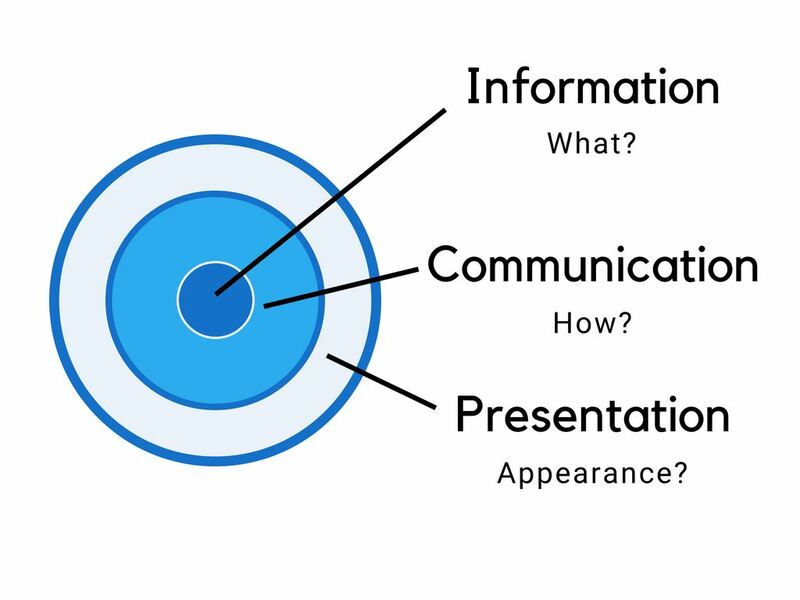 Communication (Advantages/Benefits): Highlight the benefits and USPs of the article in the description. How do your product’s features help potential buyers? How exactly do they benefit from them? Additional content options are available for sellers with Amazon Brand Registry (Enhanced Brand Content (EBC)) and vendors (A+ Content). An integrated modular system, for example, enables the combination of texts and images to a high-quality product description. The result: Vastly improved options to show off products and brands and to utilize cross-selling. While optimizing product content, it’s important to keep in mind how it will appear on mobile devices. Text (such as bullet points and product description) comes out significantly shorter so that the most important information should always be listed first. Pictures often say more than a thousand words. That’s why attractive, conversion-optimized product images play an important role in online marketing with Amazon. 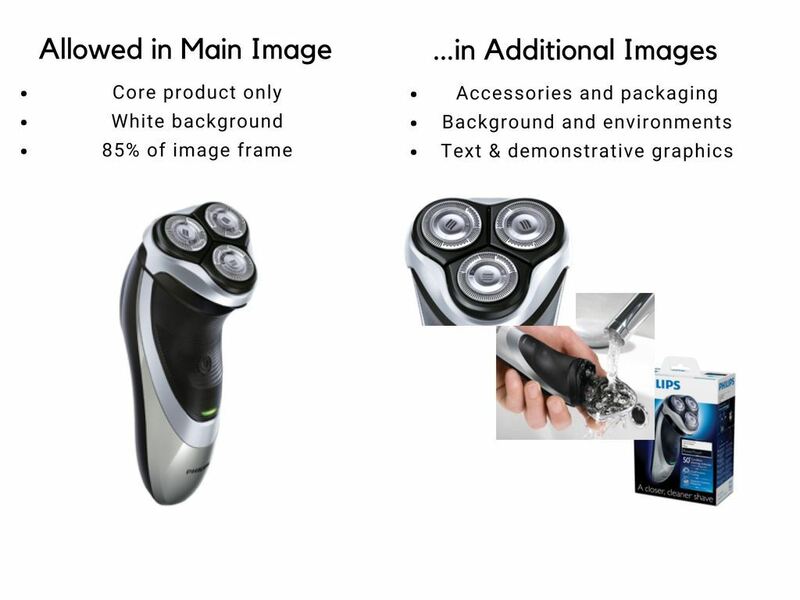 The first thing a customer sees of a product is its images. Professional and deliberate product images make a good impression and thereby increase the click rate and conversion rate (more tips for optimizing product images). Amazon reviews can just as much boost a product as they can ruin it. That means it is vital to respond to negative reviews. At best, careful review management converts a negative rating into a positive one. 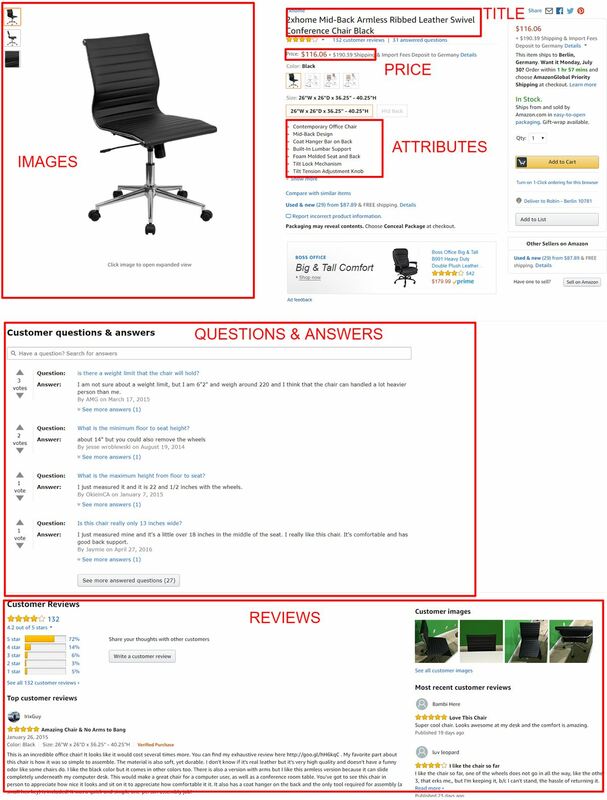 So-called product test or deal platforms can be used to generate reviews, but it is important to double-check that they conform to Amazon’s review guidelines. Amazon itself also offers vendors and sellers its fee-based review generation programs: Amazon Vine (vendors) and the Early Reviewer Program (sellers). 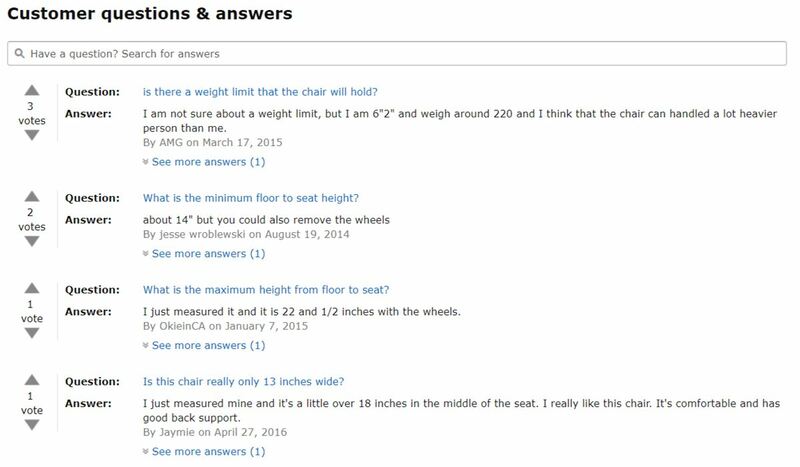 The questions that customers can ask on the product page are just as important. Customers often ask about specific details of the application or other information they can’t find on the product page. Sellers, vendors, and other customers can answer questions. Sellers and vendors should address unanswered questions regularly to ensure that customers receive correct answers. Doing so will also improve the information content of the product page: The questions often point to larger information gaps, which can now be added to the description. Additional information can be entered for each product, for example about material, weight or energy efficiency class. Fill in this information as thoroughly as possible: The filter navigation in the sidebar of the Amazon search uses it, as well as specialized product finders. The information is also clearly displayed in a dedicated section on the product page and can thus improve the conversion rate. An attractive price is conducive to organic ranking. Whether or not a price is “attractive” depends on the competitive environment of a keyword. Salespersons should compare the prices of the products above and below their own product and, if possible, position themselves competitively. The best way to determine the “perfect” price setting for a product is ultimately by simple experimentation. Sellics quickly reveals the impact of a price change on the ranking. The use of the FBA (Fulfilment By Amazon) shipping service also has a positive impact on ranking. More and more buyers are Amazon Prime members who prefer to buy FBA products because they don’t pay shipping fees. In other words: You can achieve more sales and a better conversion rate with FBA. This, in turn, has a positive effect on the ranking. Various types of ads can be displayed in search results and on product pages of the Amazon website by using Amazon Marketing Services (AMS). These adverts link to product pages or other landing pages within Amazon (On-Amazon marketing). AMS charges are click-based (PPC — pay-per-click or CPC — cost-per-click). Amazon Marketing Services addresses target audiences very precisely. It is very effective and should be part of every Amazon marketing strategy. AMS offers three different advertising formats: Sponsored Products, Headline Search Ads, and Product Display Ads. Vendors can use any of these formats if they have an AMS account and are logged in to it. So far, sellers are limited to Sponsored Products and Headline Search Ads — at least these tools can be accessed directly through the Seller Central account. Sponsored Products (Vendor + Seller): Comparable to Google Adwords, Amazon’s “Sponsored Products” allows sellers to bid on the ranking of an ad in the search results. The ads can appear at the beginning, in the middle, at the end or even next to the search result. 1st place on Amazon will thus be accessible, or “purchasable”, for every merchant. The ads also appear on product pages. You can set your ads to appear for specific keywords (keyword targeting). Also new: The Off-Amazon Ad Retargeting for Sponsored Products (currently in beta, only on amazon.com). Go here for the best tips and strategies on Sponsored Products. Sponsored Brands (previously: Headline Search Ads) (Vendors + Sellers with Amazon Brand Registration): Spnsored Brands are banners that can be deployed in different places on the Amazon search results page. The banners might, for example, link to an Amazon landing page with selected products. They can also be deployed in response to specific keywords (keyword targeting). Product Display Ads (only for vendors): Product Display Ads appear on product pages below the Buy Box. They can be deployed for specific products or via interest-based targeting. The Amazon Advertising Platform (AAP) is a display advertising network from Amazon. With AAP, banners and other advertising formats are shown on Amazon, but also on external sites (On + Off Amazon campaigns). Both products on Amazon and external offers/websites can be advertised or linked (Link In + Link Out). The cost of AAP is impression-based (CPM). AAP is accessible to all advertisers (vendors, sellers, or third parties) but it requires a relatively high minimum budget. The Amazon Media Group (AMG) is Amazon’s advertising department. All the various services in the field of advertising come together here. As a managed service, AMG also offers complete planning and implementation of advertising activities across multiple channels. This includes the advertising formats of AMS and AAP as part of an AMG package. Further advertising options are e.g. Like AAP, AMG is accessible to all advertisers (vendors, sellers, or third parties), but it requires a relatively high minimum budget. Several discount promotions are available for both vendors and sellers conducting online marketing with Amazon. Some of the promotions are free; others are liable to a charge. A time-limited, reduced price offer is one of the most manageable actions. On the product page, the customer sees the regular price as a strikethrough price, followed by the sale price and the savings (“you save X%”). Percentage-off: The item price will be reduced by an amount or percentage of your choice. Discounts may be granted on a single product, on a specific number of products, or on a particular combination of articles. The promotion is either made visible directly on the product page (for example, for cross-selling) or with the help of generated coupons, which you can distribute over different channels. Free Shipping: With this promotion, the shipping is free for your customer. You take over the costs instead. Buy one, get one free: The buyer receives a free product for every purchased product. Giveaway: To create competitions. You can set individual prizes and conditions for each sweepstake promotion. Social Media Promo Codes: Promotions with percentage-off discount. These promotions receive their own Amazon marketing page, which you can share through social media or other channels. A promotion can be distributed to target specific customers (e.g. through a newsletter) or be published directly on the Amazon product page, where it is visible to all users (e.g. for cross-selling). If the discounts are publicly visible, they will also appear in the search result for the respective product (on Amazon.com, however, this is no longer the case — Marketplaces of other countries may also be affected soon). The promotional discounts increase the conversion rate and sales, which in turn has a positive effect on the ranking. Thus, coupons are another way to operate Amazon SEO. The promotions can be created and distributed free of charge. There are no further costs for the seller aside the discount. Amazon Lightning Deals, Prime Day etc. The “Amazon Lightning Deals” are a special form of discount. Here, a predetermined quota of an item is featured for a short time (4 to 12 hours) at greatly reduced prices. Consider them support for the classic promotions. An advantage of the Lightning Deals: The offers are listed on the central Amazon Deals page. 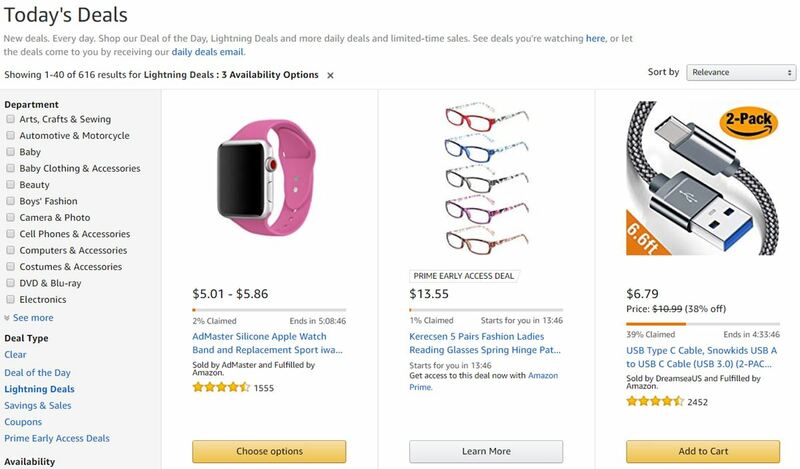 This separate page is often accessed directly by customers (especially for promotions such as Prime Day), which is why, for a short time, products in the Lightning Deals are extremely visible. In addition, a special label highlights the products with Lightning Deals in the search result. Amazon sets limiting criteria for item quantity and price to create a Lightning Deal. Sellers can only generate Lightning Deals for products that have already been pre-selected or qualified by Amazon. Vendors, on the other hand, can freely select products for Lightning Deals from their product catalogue. The use of Lightning Deal is subject to a fee. The participation in special Amazon promotions such as Prime Day or Christmas campaigns is also set up via Lightning Deals. Proposals must be submitted to Amazon within a particular time frame before the promotion. Lightning Deals are also slightly more expensive during these special Amazon promotions. “Coupon” promotions have long been reserved for vendors. Since recently, sellers can also use them. A coupon will be displayed on Amazon in search results, on product pages, on the Amazon central landing page, in the shopping cart, and on Amazon’s dedicated marketing pages. With a coupon, you can grant customers a discount of your choice on one or more products. Vendors and sellers who have registered a brand with Amazon can create a brand store. This type of shop is assembled with a modular system and can contain several navigational layers to present the assortment of goods. Use unique pictures and texts to present your brand in an appealing way. The brand shop has its own URL and is therefore ideal as a landing page for external traffic. After this detailed overview of the marketing activities that are carried out directly on Amazon or belong to Amazon’s promotional offers (On-Amazon marketing), let’s now take a look at the ways to advertise products on Amazon from outside (Off-Amazon marketing). 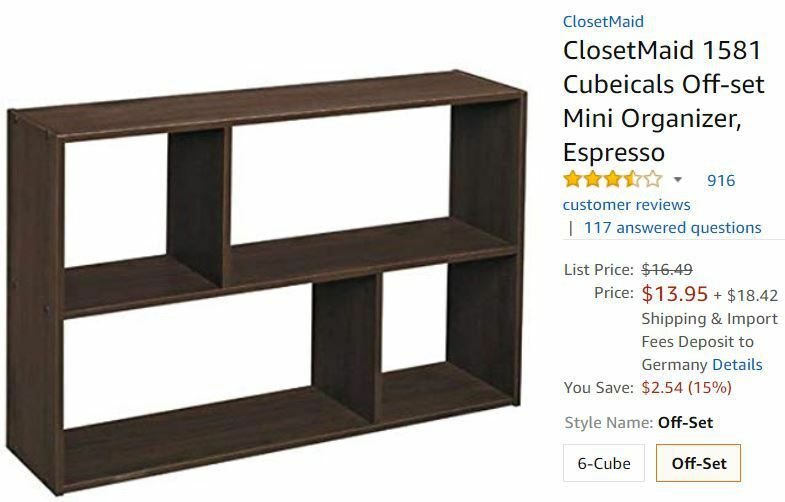 Off-Amazon measures guide users who are not yet on the Amazon website directly or indirectly to your product page on Amazon. The principle is relatively simple: A link on an external page leads to your product on Amazon. The external site directs users to Amazon, where they buy the product. 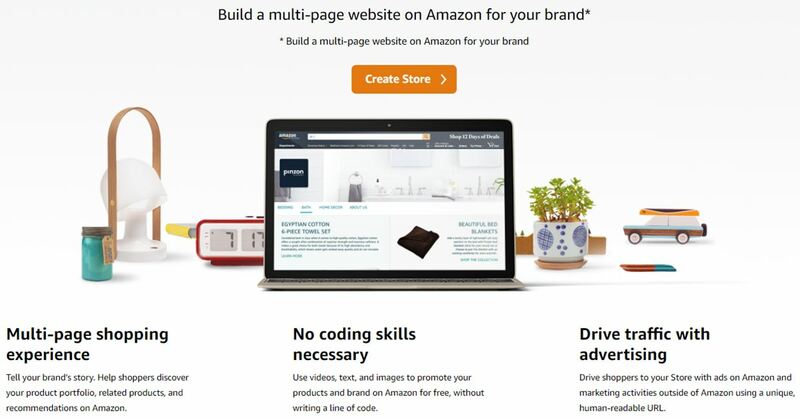 Useful landing pages are a product page, a product selection page, or the Amazon Brand Store. In contrast to Google, where the linking alone leads to a better ranking in the search results, the link to Amazon is only useful if it generates more purchases. The key question for sellers is, therefore: Where can I place links to my products to lead additional buyers to my Amazon site? Here are some possibilities. Pay-per-click models like Google Adwords, Facebook ads, or banners are an easy way to place external links. The ads link to the product on Amazon. 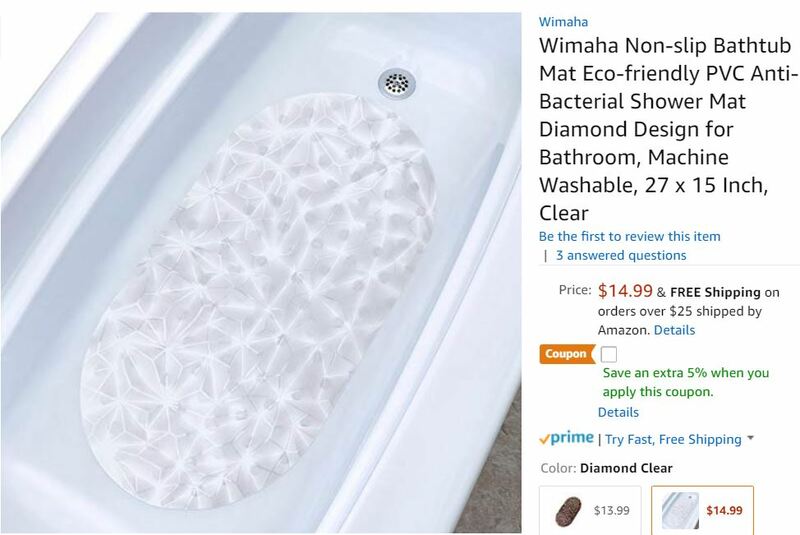 When a user clicks on the ad, they go directly to the product on Amazon. Newsletters are also great for Off-Amazon marketing. Sellers can regularly offer their customers new products via the newsletter. If these products link to Amazon, the recipients can conveniently buy the products. The seller thus generates additional sales on Amazon, which he would not have achieved without Off-Amazon marketing. Another possibility is the marketing of products through content. If you provide well-known bloggers, YouTubers, or Instagramers with your product for testing, they can publish the test results for their followers and link the product. You can also actively participate in expert forums and discussions in social networks. Brand pages in social networks can be used to grow brand awareness, strengthen customer loyalty, and raise awareness about the product offering on Amazon. 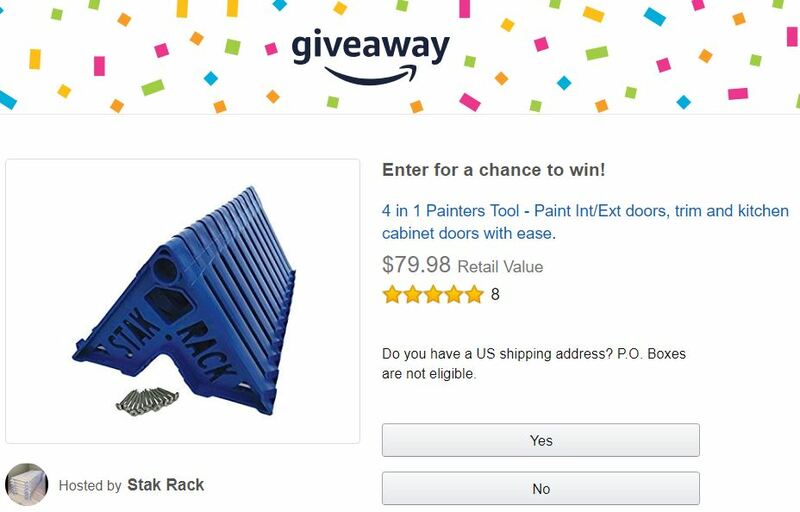 Host a competition, for example, or point out new products or current Amazon deals. 3.2 Your Online Store or Amazon? Many merchants and brands ask themselves: Why should I send traffic to Amazon instead of my own online shop? The advantages of your own online shop: No Amazon fees and more control over your marketing. Here’s an argument in favour of sending traffic to Amazon: Amazon offers a much larger platform and farther reach compared to many online shops. Any additional sales through external traffic only improves the ranking and visibility on Amazon. 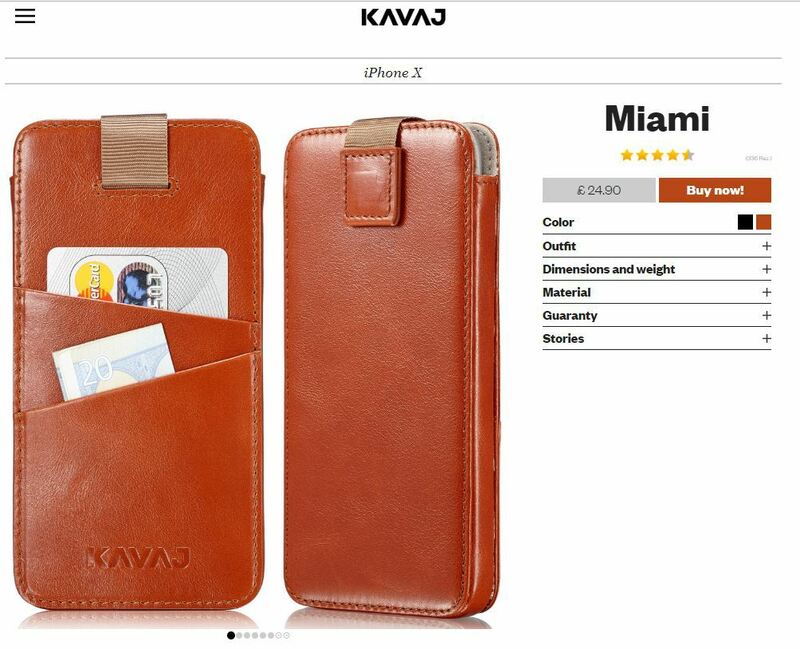 Kavaj, a manufacturer of iPhone and iPad cases, estimates that for every sale generated by Off-Amazon advertising, there are 3-4 more On-Amazon sales as a result of the improved organic ranking. The most successful merchants use an individual landing page for their Off-Amazon marketing strategy. Instead of linking directly to the product on Amazon from the external page, external traffic first reaches the landing page. It usually looks similar to an online store and presents the products in a very appealing way. Unlike an online store, however, you can’t buy the products directly on the website. Instead, clicking on the “buy” button will lead you directly to the product on Amazon, where you can finally buy it. The landing page acts as a medium to make the product even more attractive to customers, to increase the purchase probability. The landing page is also useful for building a newsletter mailing list, which in turn can be used for other Off-Amazon advertising (see above). Put simply: The more a product sells on Amazon, the better it will rank in organic search results. Every advertising measure, which — whether On- or Off-Amazon — successfully increases the sales of a product on Amazon, always has the positive side effect that it improves the ranking of the product. In the context of a marketing strategy, you can start an upward spiral: Introduce a new marketing measure and generate the first sales. This improves the ranking. 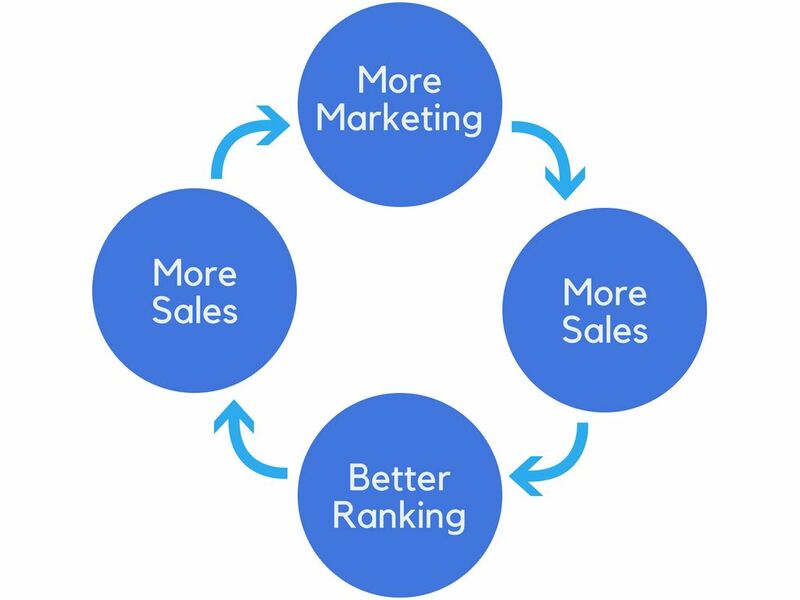 The higher ranking increases sales, and you earn more money, which you can reinvest into your marketing efforts. Automation: Save time with automatically optimized CPC bidding, negative keywords, etc.